On the opening weekend of Pierre Guyotat and Christoph von Weyhe’s exhibition SCENES AND STAGES, The Box presents a conversation with the artists, followed by the panel PIERRE GUYOTAT IN LOS ANGELES with Sylvère Lotringer, Paul McCarthy, Ariana Reines, and Noura Wedell. Sunday, February 3, from 1 pm to 4 pm. 805 Traction Avenue, downtown Los Angeles. From top: Pierre Guyotat, Untitled, pen and colored pencil on graph paper; Christoph von Weyhe, 7.3.2009, 2009, acrylic on canvas, photograph by Laurence Godart; Pierre Guyotat, Untitled, 2017, pen, colored pencil, gouache, pastel, graphite on paper. Images courtesy the artists and The Box. This entry was posted in ART, BOOKS/PERIODICALS, CONVERSATION, EDUCATION/ACTIVISM, LITERATURE/POETRY and tagged ariana reines, Christoph Von Weyhe, Noura Wedell, Paul McCarthy, Pierre Guyotat, Sylvère Lotringer, The Box on February 2nd, 2019 by Barlo Perry. Sunday, January 6, at 2 pm. Top: Elijah Burgher and Richard Hawkins, Sperm Cult, 2018, manipulated inkjet photo. Courtesy the artists and LAXART. Publication image credit above: Burgher, Hawkins, and Bad Dimension Press. Below: Sperm Cult installation view; Ryan M. Pfeiffer and Rebecca Walz (left), and Ariana Reines and Oscar Tuazon (right). Photograph by Ruben Diaz. This entry was posted in ART, BOOKS/PERIODICALS, CONVERSATION and tagged ariana reines, Bad Dimension Press, Darius Sabbaghzadeh, ektor garcia, Elijah Burgher, LAXART, OSCAR TUAZON, Rebecca Walz, Richard Hawkins, Ryan M. Pfeiffer, Scott Treleaven on November 13th, 2018 by Barlo Perry. Inspired by instructional artworks by Miranda July, Sol LeWitt, Rob Pruitt, and Yoko Ono, photographer Ryan McGinley delivered cameras, rolls of film, mirrors, and sets of instruction to his subjects—who range in age from 19 to 87—and waited for the undeveloped film to be sent back to him. McGinley’s edition of these selfies constitute the new show MIRROR, MIRROR, now on view. RYAN MCGINLEY—MIRROR, MIRROR, through September 29. TEAM GALLERY, 83 Grand Street, New York City. From top: Jade, Eric, and Shane, all 2018. From the exhibition Ryan McGinley—Mirror, Mirror. Images courtesy of the artists and Team Gallery. This entry was posted in ART, BOOKS/PERIODICALS, PHOTOGRAPHY and tagged ariana reines, Miranda July, Rob Pruitt, Ryan McGinley, Sol LeWitt, Team Gallery, Yoko Ono on July 8th, 2018 by Barlo Perry. This weekend, join longtime PARIS LA contributor Ariana Reines and L.A.-based writer Amy Gerstler for poetry and afternoon cocktails at LAXART. I HEART POETRY AND DAY DRINKING—AMY GERSTLER AND ARIANA REINES READING, Saturday, June 9, at noon. 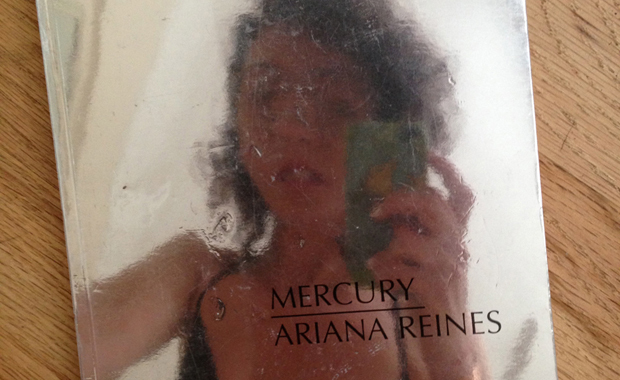 This entry was posted in BOOKS/PERIODICALS, CONVERSATION, LITERATURE/POETRY, PERFORMANCE and tagged Amy Gerstler, ariana reines, LAXART, Paris-LA on June 8th, 2018 by Barlo Perry.